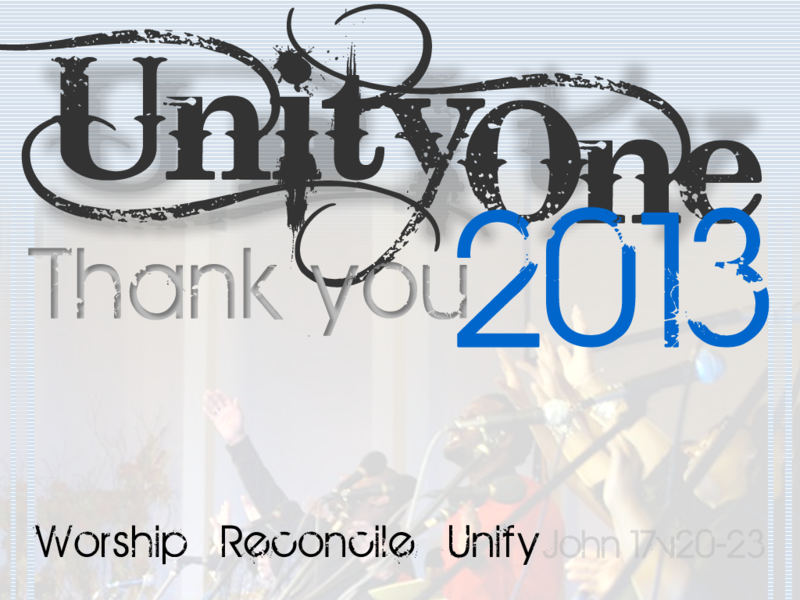 Jun 13, 2014 Sep 9, 2014 UnityOne WorshipLeave a Comment on UnityOne 2013 – Thanks! We appreciate that you would choose to spend time worshipping with us at UnityOne! 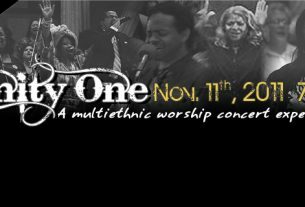 There are many other places you could have been, but you chose to join us, your brothers & sisters in Christ, for a time of praise, worship, and sweet fellowship that has come to mark each UnityOne event. 2014 will be the 5th year celebration of the UnityOne Multicultural Worship Concert Experience! Yes, five years since over 600 Christ-followers from an array of ethnic backgrounds came to worship together under one roof with songs in Portuguese, Swedish, and Chinese and music from Indonesia, Nigeria, Taiwan, and the USA. We look forward to seeing you at UnityOne 2014!